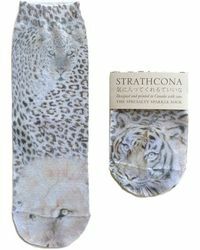 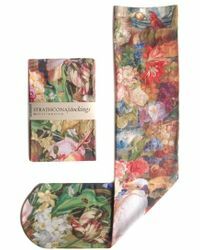 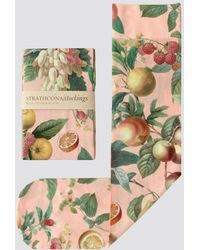 Strathcona is a modern stocking label specializing in exquisitely printed socks and supplies. 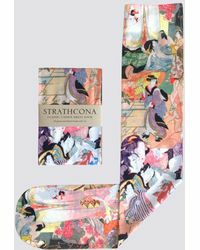 Established back in 2010 by talented artist and designer Ryley O'Byrne, every print that this label produces is original - designed, collaged, photographed or drawn at the Strathcona studio or on many travels all-over the globe. 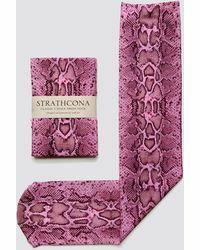 Strathcona's collection of hosiery is what this brand is known for. 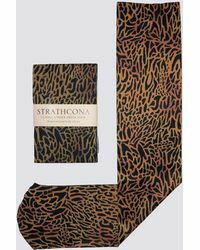 From exotic colours to bright jungle-prints to tiger-print anklet socks to mushroom-print knee-high styles, embrace individuality with this statement selection.